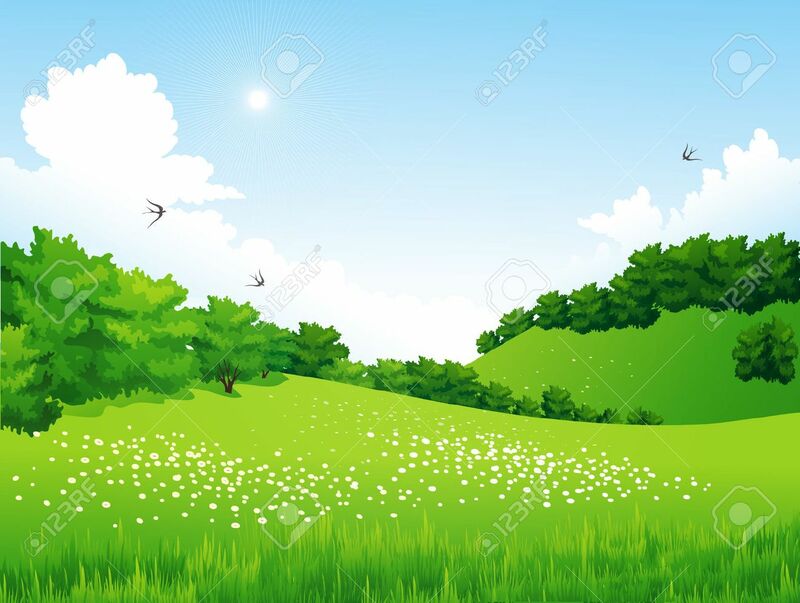 Vector Green Landscape With Trees, Clouds, Flowers. Summer Meadow Cliparty, Ilustracje Stockowe Oraz Ilustracje Wektorowe Royalty Free. Image 39649130.